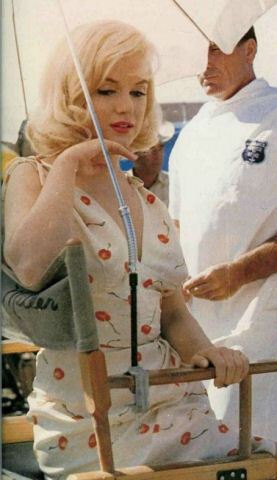 A couple of months ago on the doll board The Studio Commissary, there was a discussion about how some people were interested in Marilyn's Monroe's cherry dress from the 1961 film "The Misfits". I was instantly intrigued. 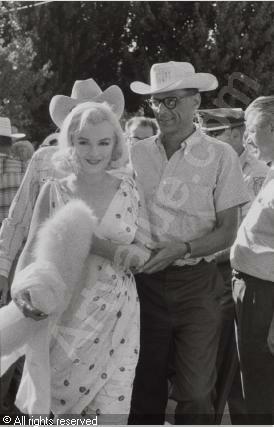 I googled, and found some photos of Marilyn in the dress. 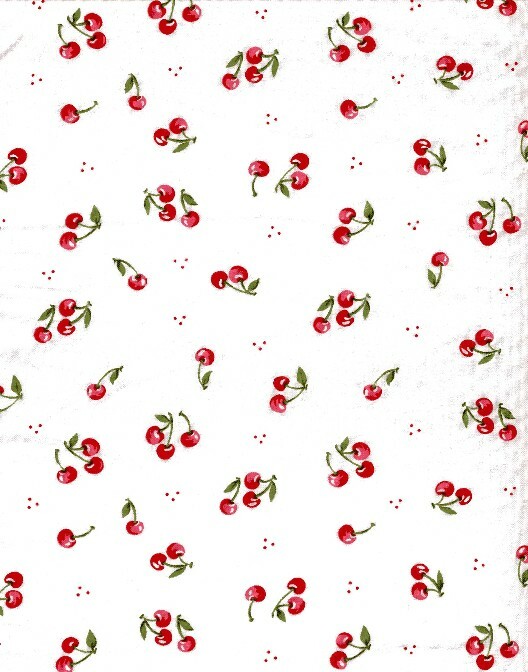 It then became an challenge/obsession to find some cherry printed fabric. 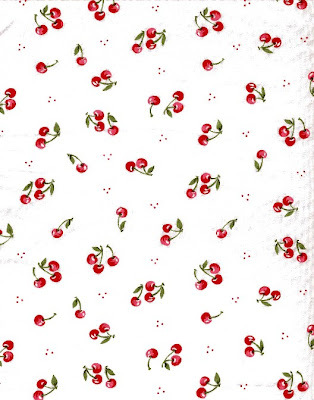 I was pleasantly surprised to find this fabric at my local JoAnn Fabrics store. The biggest challenge was getting the bodice to fit right. 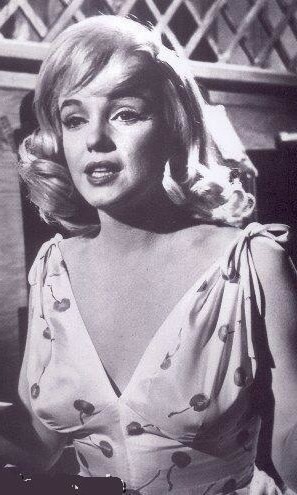 I wanted to use self fabric ties on the shoulders, like on the real dress, but they looked too bulky. I ended up using ribbon to get the look I wanted. This dress also fits the Tonner dolls well. This dress will be for sale on my Blog Store.